For the Loyola University Chicago’s Libraries celebration of Open Access Week 2018, we wanted to focus on an issue of equity that is of utmost importance to students: the cost of textbooks. Students pay a lot of money—often in the four figures—for textbooks, an expense that’s hard to absorb on top of the other expenses of college. For many students, the workarounds they make to afford their books end up affecting their lives at school and at home. Everyone can do something to help in this situation. Students can raise awareness of how high textbook prices affect them. We will set up white boards in Lewis and the IC/Cudahy Connection for students to share how they have spent on textbooks and how this affects them. Instructors can work with the library to provide access to books for students through course reserves and ebooks, or choose open educational resources. Administrators can provide support to faculty to adapt or create open textbooks. 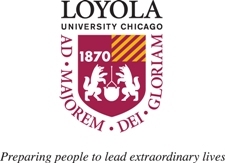 Visit our Open Access guide to learn more about this year’s theme and everything the Loyola University Chicago libraries do all year long to promote open access. Join us on Wednesday, October 24 at 12:30 PM in IC 120 or streaming online to learn about affordable textbooks. Sign up https://libcal.luc.edu/event/4704184. This entry was posted on October 22, 2018 at 11:42 am and is filed under News. You can follow any responses to this entry through the RSS 2.0 feed.